On the quiet side of the harbour yet so close. In the nations capital city Northshore is close to the new expanded international airport and a short five minute walk to the train station providing direct travel to sydney central station. The precinct is close the parliamentary triangle and countless schools, shopping centres, medical centres, private hospitals, casino and a newly renovated public hospital in Woden. 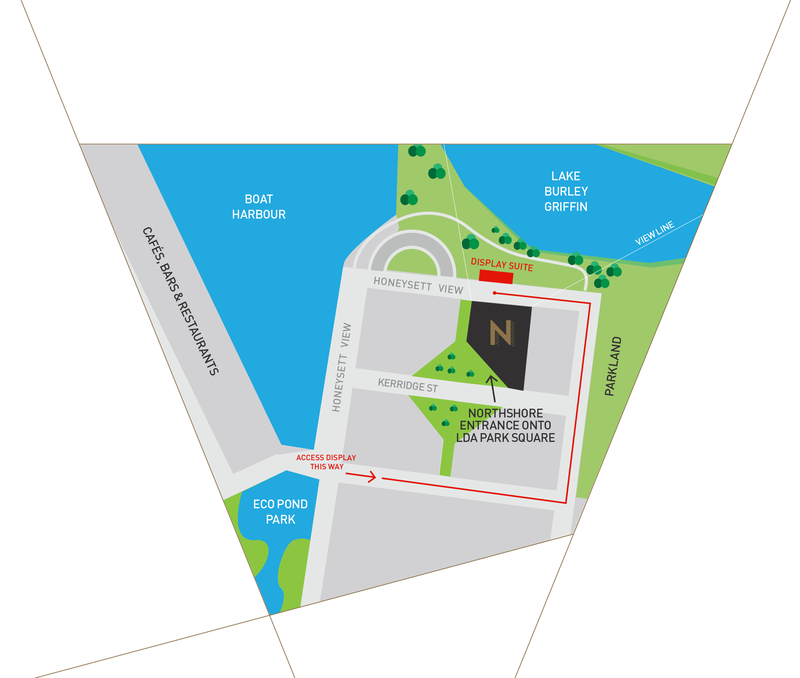 Northshore has been thoughtfully designed to allow the maximum number of apartments the opportunity to enjoy northerly views over the adjacent lake frontage, and the protected Jerrabomberra Creek and Wetlands. All residents will enjoy views over one of the two new LDA Park Squares or the carefully designed centre open air atrium crafted to maximise privacy. Access to the waterfront is via the park square and a single safe street crossing to the waterfront park to the boardwalk. Short drive to Canberra Grammar School, universities and the hospital.